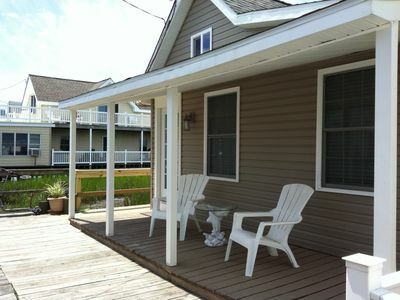 3 BR, 2 BA, Sleeps 10, Wi-Fi, Front Porch, 1.5 Blocks to Beach, Close to Convention Center Fox Park. Renting Year Round!! One of the BEST feature of this home is that there are NO stairs to climb. 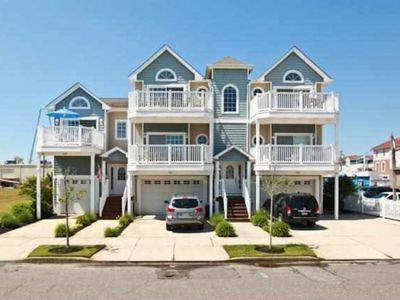 Only 5 steps up the porch and you enter your beautiful spacious vacation beach home. 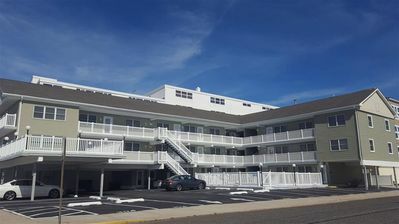 So if you have a hard time getting around, bad knees/hips/back, small children or just hate stairs (like most properties have) this is the home for you!! 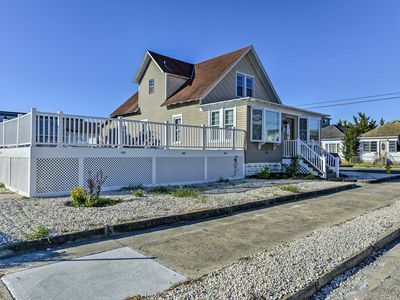 Ranch style family home located in less than 2 blocks from the beach and boardwalk and south of Rio Grande Ave-just a few blocks from Wildwood Crest. 2 off street parking spots so park your car and walk to the Convention Center. 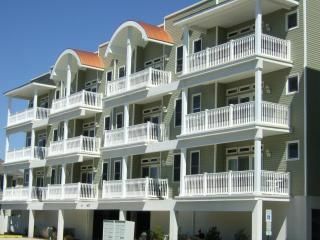 Enjoy nearby restaurants like Marvis, Duffers, Ravioli House, Dogtooth, Poppis, Uncle Bills Pancake House, Key West Cafe and many more. Taverns, food and convenience stores, ice cream parlors, mini golf are also nearby. Parking is no hassle with off street parking for two vehicles. 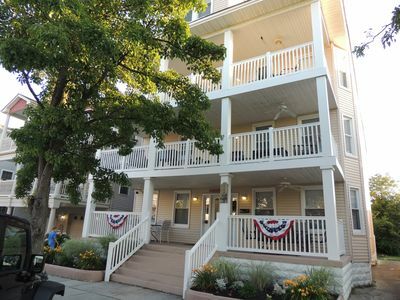 With a spacious front deck/porch and a grassy rear yard with an outdoor shower, there is plenty of space to enjoy the outdoors. 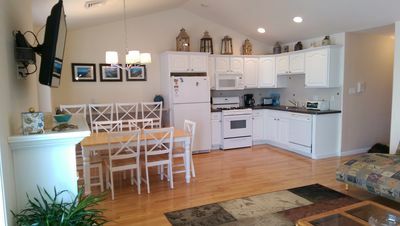 It features an open floor plan with living room, dining area and full kitchen with a center island. Plenty of room for everyone. 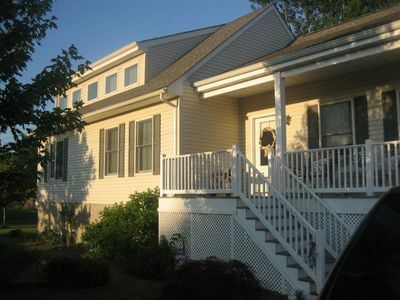 The home has 3 nice size bedrooms, 2 full baths, washer and dryer. It can sleep up to 10 people comfortably!! 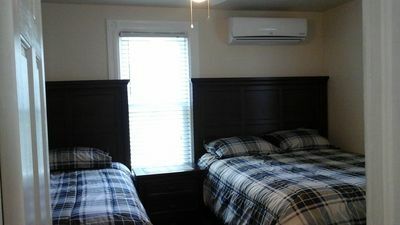 The master bedroom, with a king size bed, is bright and spacious and has a walk-in closet, 40 inch TV, fan and a private bath with a walk-in shower and his and hers vanity sinks. 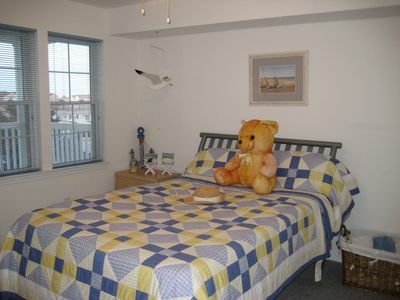 The second bedroom, with a beach theme,has a queen size bed, 40 inch tv and fan, with plenty of closet space as well. The third bedroom (kids room) with a lighthouse/anchor theme has 2 twin over full bunk beds. The hallway bathroom has a standard tub/shower. Enjoy cooking? 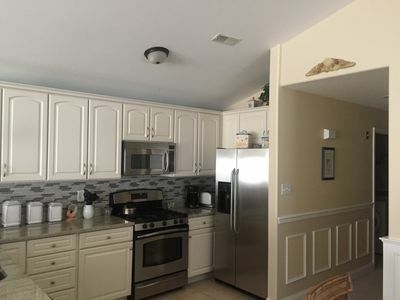 Then make use of the full kitchen, complete with gas range, dishwasher and full size refrigerator. 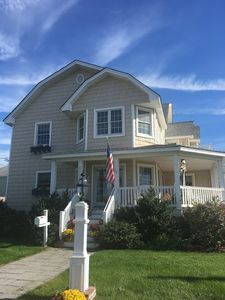 The kitchen is fully equipped with dishes, silverware, glassware, pots and pans, 2 coffeemakers (Keurig and coffee pot), microwave, toaster, toaster oven, blender and crockpot. The dining area has seating for 8 at the table and 3 at the center island. 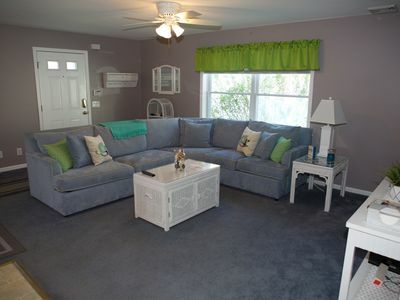 The living room has a comfy sofa that opens up to a queen bed and a 55 inch flat screen TV. We also provide games and books for those rainy days. Pillows, blankets and comforters are available. Please bring your own sheets, pillow cases and towels for bath and kitchen. Sorry NO PETS OR SMOKING!!!!!!! 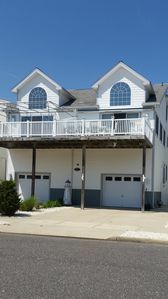 WE DO NOT RENT FOR PROMS, GRADUATION OR SENIOR WEEK. 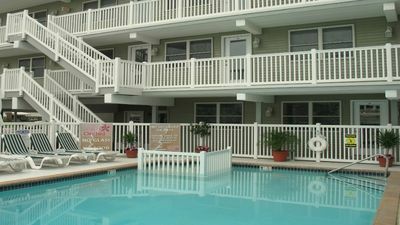 Any violators will be removed immediately with loss of refund and security deposit. No exceptions. Please DO NOT contact me if younger than 25 years. 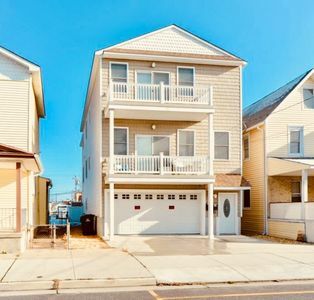 Fabulous North Wildwood 3 bedroom 2 bath beach block condo! 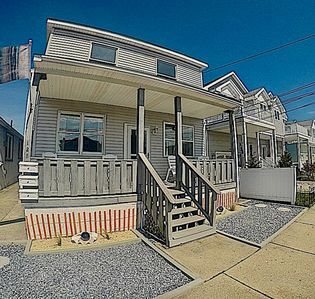 BEAUTIFUL, IMMACULATE AND 1 BLOCK TO BEACH !!!! 3 weeks left, discount price!!! First Floor With 2 Bedrooms, Living Room, Kitchen. Hurry!!! Only (4) Weeks left for 2019!! 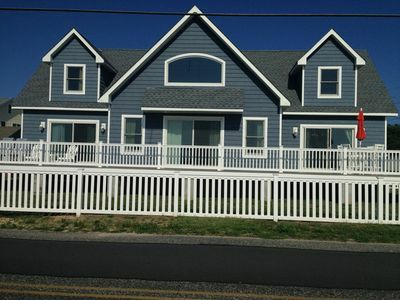 Wildwood Crest Stunning Bay Views from Wrap Around Porch! [email protected]@K AT THIS VIEW! 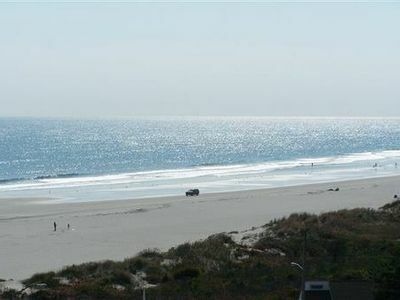 Direct Oceanfront *Stunning Views* 6/30! 7/7! 8/11! 8/18! 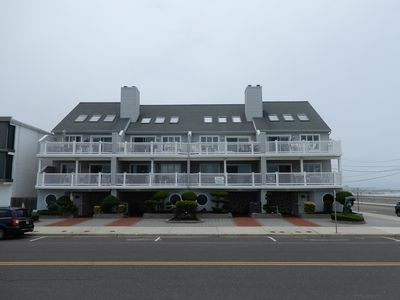 Cozy, Well Maintained 2 Bedroom Condo, 1 Block From the Beach! 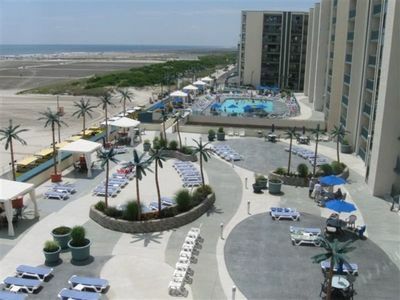 The Ocean Towers on the Wildwood Beach!